Where do I even begin, when I don’t even know when the beginning was? My earliest anime memory is from when I was four, watching Dragon Ball Z and Pokémon with my older brother. At that point, it was an innocent interest in anything animated – it goes without saying that I love cartoons. 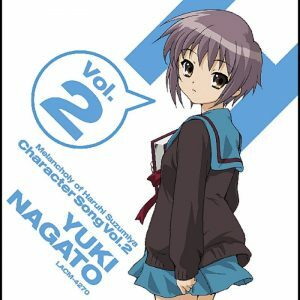 However, my interest began to sway to the East when Animax, an anime television channel, began airing in my home country of South Africa when I was 9. Like a moth to a flame, I was instantly absorbed by shows like Earth Girl Arjuna, Eureka SeveN and .hack\\. Sadly, a mere 3 years after it was launched, Animax SA was shut down. 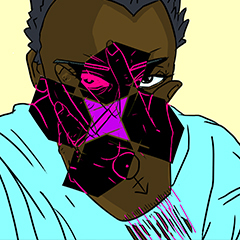 But that short time was all I needed to be completely hooked onto a very unique form of storytelling – I began to seek anime everywhere and that created the highly-obsessed, fanatic that I am now. One hot summer day, Ariyoshi Juna, a high school girl, died in an accident she and her boyfriend, Tokio, were involved in while taking a trip to the sea. It was then, in her state of death, that she was shown a stream of disturbing images of the Earth’s end by a boy named Chris. Chris then gave her a choice: to go on and die, or to be given a second chance at life, as the Earth’s protector, the Avatar of Time. Having chosen to live, it became Juna’s duty to purge the Earth of the Raaja, creatures which plagued the Earth and would eventually become the progenitors of its destruction. Earth Girl Arjuna is a very obscure anime and not many people I’ve met have watched or even heard of it. Its significance to me is the fact that when Animax SA started up all those years ago, it was the first anime I watched, and I loved it. It’s a very unique series due to its eco-conscious and Hinduism-inspired themes and has some very dark elements to its story and characters. Earth Girl Arjuna boasts an incredible music score, composed by legends such as Kanno Yoko and Sakamoto Maaya and it is for this music that it remains fresh in my mind, 9 years after I first watched it. 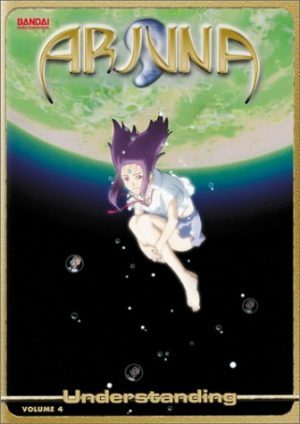 Earth Girl Arjuna is a gem in my mind because there was a deliberate and very direct intention of conveying a message throughout the series and it was incredibly thought-provoking, especially when I watched it again. When Araragi Koyomi was attacked by a vampire in the summer of his final year of high school, his life changed forever. He became a supernatural oddity himself, and began encountering various girls who were in one way or another, like him, plagued by supernatural oddities, or “apparitions”. Bakemonogatari follows Araragi as he attempts to help each of these individuals and relieve them of the burden caused by the apparitions, each girl’s case very different from the last. 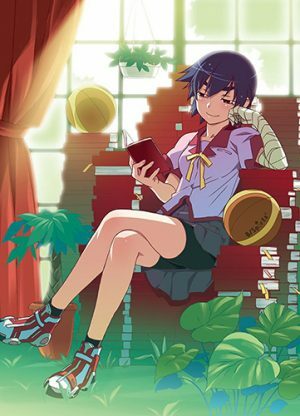 The Monogatari Series, is, in my mind, one of the best pieces of writing in all of anime. As much of an exaggeration as that may seem, I have no other way of expressing just how much of a fan I am of Nisio Isin’s work and writing. When I first encountered the series through Bakemonogatari, I felt as if I’d found something special. I thought the art was appealing and excellent, I found the characters wholly interesting, enjoyed the interactions between characters and even the random flashes of information in parentheses that I could barely read fast enough felt like short breaths of fresh air. 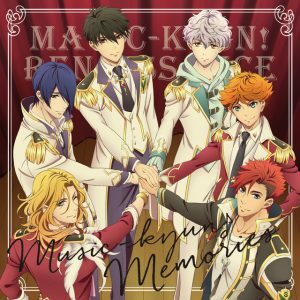 I thought it was an immersive anime, I had to pay attention to understand what was happening and at times, I didn’t understand the references characters would make – it was what I believed to be an “intelligent” anime. Okabe Rintarou is an 18-year-old mad scientist wannabe who spends his time pretending to be making great strides in the world of science with his friends, or “lab members”, Daru and Mayuri. He and Daru have been working on an awesome invention, the “Phone Microwave”, which, in the beginning, seemingly has no scientific value apart from being able to turn bananas into a mysterious green goo. After a series of strange occurrences and a stroke of luck, the Phone Microwave exhibits an amazing ability: it is capable of sending text messages to the past, altering the flow of history. However; time travel and related endeavours are wrought with peril, as Okabe eventually finds out. I never had a deep understanding of the concept of time travel before watching Steins;Gate. To me, it was always heading off to the past to change the future, or heading into the future to explore. It had never been presented to me in the way that it was through Steins;Gate. 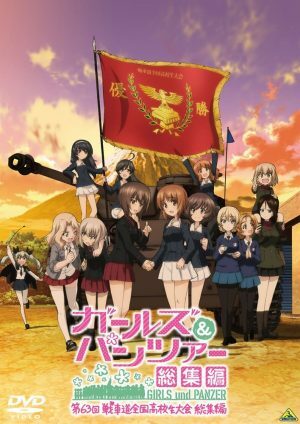 An anime that I’d initially believed would be fairly light-hearted became an emotional rollercoaster. 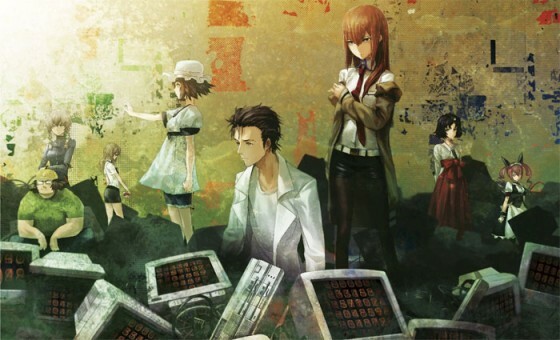 As a result of their creation, Okabe and his lab members were ambushed by SERN and Mayuri was killed. Overtaken with grief, he sought to change the past and prevent her death, but didn’t happen so easily. Each time he tried, the result was the same and seeing how much psychological damage Okabe endured after seeing his best friend die countless times broke me as well. 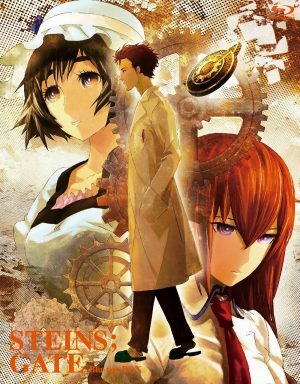 I believe that Steins;Gate is the best time-travel story ever told. I enjoyed the way time-travel was explained, but more than that, I enjoyed seeing Okabe transition from a goofy character to a forlorn soul – it is contrast in the personalities of characters that I tend to enjoy in anime. More than that, I was moved by the lengths to which Okabe went for his friend and I wanted to be like him: reckless but sincere when it came to the wellbeing of people I love. In the year 2010, the Holy Empire of Britannia waged war against the rest of the world, and armed with their Knightmare Frames, powerful giant robots, they effectively subjugated the majority of the world. Exiled to Area 11, formerly Japan, is the Britannian Prince, Lelouch Lamperouge (vi Britannia), who is one day caught in the midst of a skirmish between the Britannian army and Japanese rebels, who had stolen a very dangerous weapon. The weapon turned out to be a young woman who gifted Lelouch with the power of Geass, which manifested in “absolute obedience”. 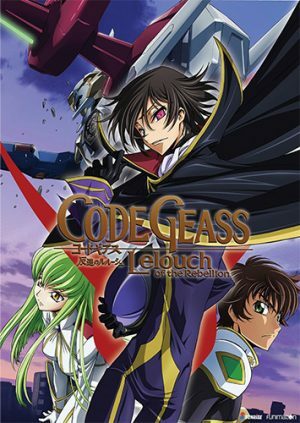 Armed with the Geass and a vendetta which runs deep into the Britannian Royal Family, Lelouch decides to pursue his revenge, using the Japanese rebellion as a catalyst. Code Geass is an anime I will never, ever forget. At first, I was not impressed with the strange art and the presence of mecha (I tend to shy away from mecha anime), but when I sat down and gave it a chance, I was blown away. As most people have said, it bears a striking resemblance to Death Note, with similar protagonists and themes, but Code Geass is one of my favourites because of the ball of sheer intelligence, arrogance, and ambition that is Lelouch Lamperouge. I admire characters who are witty and deliberate in their actions. I first watched Code Geass when I was fifteen and at that stage in my life, I really enjoyed themes of rebellion and power struggle in anime. The influence of Code Geass in my life was extensive, I still seek to imitate the wit and ambition I saw in Lelouch. What stood out for me was the fact that despite his intelligence, Lelouch made mistakes and lost himself to his power, but showed remorse for the damage his actions had caused. He achieved his goal and remained a fairly righteous character all the way through to the end. 15-year-old Kurosaki Ichigo has, for as long as he can remember, been able to see ghosts and spirits. 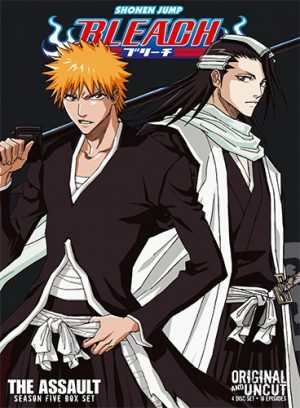 One night, a woman named Kuchiki Rukia, dressed in a black kimono, sporting a katana at her side appears in his room, describing herself as a Shinigami – an entity similar to the Grim Reaper – tasked with the job of sending human souls to a place called Soul Society and purging evil spirits called Hollows. Later that night, Ichigo’s family is attacked by a Hollow and Rukia is fatally wounded in battle. She offers to transfer her Shinigami powers to Ichigo in hopes that he can defeat the Hollow and he accepts: it is at this point that Ichigo’s life changes forever as he becomes a Shinigami himself. Bleach is my favourite anime. I have no doubts in its placement at the very top of my list because from the day I watched the first episode as a 12-year-old, I knew I’d found something amazing. The characters are cool, the powers are awesome, the fights are some of the most badass I’ve ever seen and it features my favourite anime power-up: the Bankai. I really enjoyed the story and loved the unbreakable resolve that some of the characters showed throughout the series. To say that I love the series would be a gross understatement; Bleach is a huge reason why I love anime the way I do and I rate Kubo Tite highly for the work that he created. I have obsessed over several anime in my life, but none to the degree at which I obsessed over Bleach. 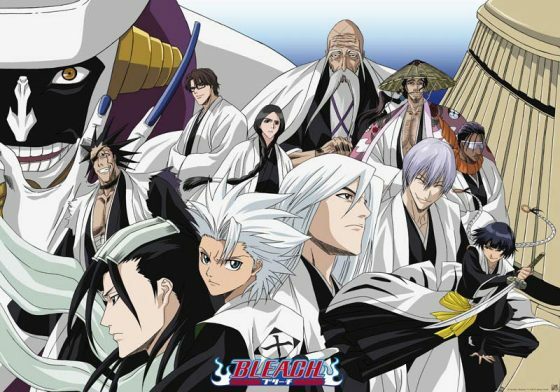 I sought to know everything about the Bleach universe, I’ve watched several scenes over and over again, memorized lines, Zanpakuto names, Shikai activation phrases and even re-enacted the coolest scenes alone when no one was looking. I laughed and despaired with the characters every step of the way. I powered up when they powered up, I celebrated their every victory. I’m going to meet Kubo one day and when I do, I’m going to thank him for creating a universe I could immerse myself in the way I did with Bleach. I’m going to thank him for finding the will to pick up a pencil and draw again after Zombie power failed. I’m going to thank him for creating characters who taught me to look inward for strength. I’m going to thank him for inspiring me. Anime is a portal to a universe of infinite possibilities, a place where logic and reason don’t reign supreme. Different people have different reasons for watching anime. Some may have lofty motives, others just like how the characters look. Be that as it may, I believe that anime is a medium through which unique and interesting stories can be told. I believe that anime and manga are a form of storytelling that, in some special cases, depending on the individual experiencing them, and when everything just seems to come together perfectly, the resulting stories are some of the best ever told.